President Asif Zardari on Monday said that the recently launched educational project “Open Schooling System” of the Allama Iqbal Open University (AIOU), aimed at providing a parallel education system to out of school children, especially dropout women, would prove to be a great success in empowering the people of the country. President Zardari said this during a briefing given by AIOU Vice Chancellor (VC) on the “Open Schooling System” initiative here at Bilawal House. The meeting was attended among others by Sindh caretaker CM Zahid Alvi, Sindh chief secretary, federal secretary Education, Senator Farhatullah Babar and other senior officials. On the occasion, the president said that AIOU was providing education to people from Karachi to Khyber and from Gilgit to Gwadar and was therefore making great contributions to the nation building process. He said that the skills based education model introduced by the university had gained great acceptability among the masses, while adding that the new AIOU initiative was very promising. 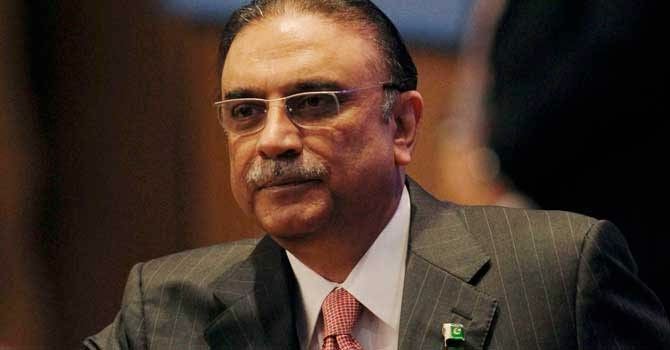 President Zardari, who is also Chancellor of AIOU, said that the university was established by late Zulfikar Ali Bhutto and nurtured by late Benazir Bhutto. He further said that the mission was carried forward by subsequent governments while expressing delight that over the years the university had become one of the best universities of the world. He also said that the university was truly a national asset as over the years it had made great progress in providing quality education to people living in remote areas of the country by reaching out to them through modern distant learning techniques. Meanwhile, VC Dr Nazir Ahmed Sangi said that AIOU had a long history of catering to the educational needs of illiterates, semi-literates and out of school dropout segments of the society. He informed the meeting that the university since its establishment in 1974 had designed, developed and pilot tested a number of grass root level educational programmes for functional, basic, middle and secondary level learners, especially for female learners in the rural areas. About various projects of the AIOU, he informed that the university under its recently launched projects “Girl Power Programme (Pakistan)” and “Building Skills for Life Project” would provide middle education to about 8,400 primary pass dropout girls and young women in Vehari and Chakwal districts and 600 girls in Thatta, Sindh respectively. The meeting was informed that under the open schooling initiative would be launched in selected districts in all four provinces of the country to provide basic, middle and secondary level education to women, girls, youngsters and adult men. Furthermore, the meeting was informed that the open schooling system had been successfully implemented in various countries including India, Bangladesh, Nigeria, Cameron and others. Spokesperson to the President Senator Farhatullah Babar said that the president on the occasion complimented the VC, the management, university faculty and Bureau for University Extension & Special Programes for launching the new initiative, and said that it was a major project aimed at empowering people. Meanwhile, commenting on projects initiated by the democratic government for people’s empowerment, the president said that Benazir Income Support Programme (BISP), Waseela-e-Taleem and Waseela-e-Rozgar schemes were aimed at empowering people, particularly women living in rural areas. He expressed hope that by enhancing self employment opportunities, the open schooling initiative would be introduced in all low literacy districts. President Zardari stressed the need for setting up more open schools in all parts of country. He expressed confidence that the efforts to educate dropout children, especially females in all parts of the country would succeed. The spokesperson said that the President Zardari urged the federal government to consider providing sustained financial assistance to the “Open Schooling System” initiative and said that the federal government should also consider making the AIOU a major beneficiary of basic education grants through Economic Division and the Foreign Office. Later, President Zardari congratulated the AIOU VC and all those associated with the institution for making it an internationally recognised institution.